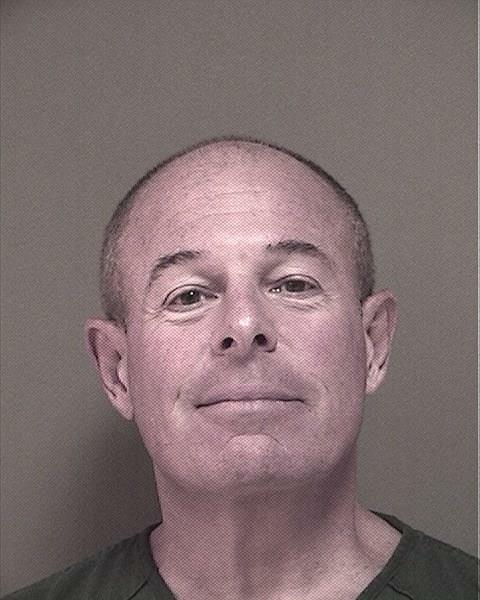 An attorney from Brick Township who is a prominent member of Ocean County’s legal community has been charged with stealing more than $1.2 million from elderly clients. The victims, in some cases, did not have close relatives to guard their interests or suffered from dementia when Robert Novy took the money, Attorney General Christopher S. Porrino announced Tuesday. Novy, 65, of Brick, who once hosted a radio show and taught seminars on elder law, is facing charges of first-degree money laundering, second-degree theft by unlawful taking, and second-degree misapplication of entrusted property. Novy is being lodged in the Ocean County Jail with bail set at $500,000. In addition to arresting Novy, detectives this morning executed a search warrant at the offices of Novy & Associates, LLC, on Ridgeway Avenue in Manchester, seizing billing records and other evidence. The Attorney General’s Office obtained a court order freezing over $3.5 million in assets held in various bank accounts of Novy and his law firm. Attorneys from the Division of Criminal Justice also applied for a Superior Court judge to appoint a trustee to oversee the business operations of the law firm. From 2010 through 2015, Novy allegedly stole more than $1.2 million from four clients. He allegedly laundered most of the funds through his attorney trust accounts and attorney business accounts. The Division of Criminal Justice, as part of its ongoing investigation, is looking at other “large suspicious financial transactions” involving numerous other clients of Novy, a statement said. Novy has participated in educational seminars on topics of elder law and hosted a bi-monthly radio program “Inside the Law,” which focused on topics of concern to senior citizens. In conducting the investigation, the Division of Criminal Justice obtained and reviewed voluminous bank records and conducted an extensive financial analysis. The investigation revealed that Novy allegedly stole funds from elderly and deceased clients who, in some cases, did not have a close relative to claim their estate or challenge Novy’s actions. Novy gained control through wills, powers of attorney, and trust documents, making himself the sole financial decision-maker for these clients. Typically, Novy transferred funds from the personal bank accounts of the clients to his lawyer trust accounts. It is alleged that he then excessively billed the clients without any supporting invoices, withdrew funds from the trust accounts, and deposited funds into his personal bank account or the law firm’s operating account. In some instances, Novy allegedly withdrew funds from his clients’ personal bank accounts and deposited the funds directly into his personal bank account or law firm’s operating account. When clients had sizeable assets in the form of an annuity or life insurance policy, Novy allegedly directed insurance companies to redeem the policies and send the money directly to him. In some cases, when challenged by trustees or relatives about particular funds that had been withdrawn from client accounts, Novy claimed they were “administrative errors” and repaid the funds. The Division of Criminal Justice is continuing to investigate suspicious transactions related to more than a dozen additional clients of Novy. He allegedly stole $78,000 from an 88-year-old woman who suffered from dementia, billing the woman and her estate a total of $78,000 that was not supported by any invoice or records showing justification. He allegedly stole at least $459,000 from an 87-year-old woman. Among other things, he deposited proceeds totaling roughly $387,000 from two annuities into his attorney trust account, and subsequently transferred those funds into his law firm’s business accounts. He claimed part of the money was for attorneys’ fees and power of attorney fees, but he did not justify those huge fees. He allegedly stole nearly $550,000 from another elderly woman. He allegedly transferred nearly $300,000 that he held for her in his attorney trust account into the firm’s business accounts without any invoices or evidence that legal services were provided. On another occasion, Novy allegedly wrote himself a check for $250,000 from the woman’s personal bank account and deposited it into his own personal bank account. First-degree money laundering carries a sentence of 10 to 20 years in state prison, including a mandatory period of parole ineligibility equal to one-third to one-half of the sentence imposed, and a fine of up to $500,000. Second-degree crimes carry a sentence of five to 10 years in state prison and a fine of up to $150,000. Porrino and Honig urged anyone with information about alleged misappropriation of client funds or other suspicious transactions involving Novy to contact the Division of Criminal Justice’s toll-free tipline 1-866-TIPS-4CJ to report the information confidentially.